Stream anime episodes online for free, Watch One piece Episode 138 English version online and free episodes. 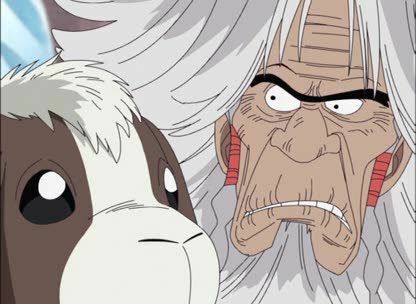 Anime Episode guide One piece Episode 138 English dubbed Whereabouts of the Island Treasure! Attack of the Zenny Pirates! The commotion caused by Zenny’s arrival allows Nami, Sanji, Usopp, and Chopper to board their ship safely. Zenny and his goats get on the navy ship and Zenny uses of his martial arts skills, with a counting frame to fight. Luffy attempts to slingshot himself over to help him, but lands in the water instead. Zoro immediately jumps in after him to rescue the non-swimmer, only to be run over by the Straw Hats’ own ship.